Its the greatest android phone in the world.In addition to the official news of the price, features hardware, etc. was also the first commercial launch of this brand new Samsung smartphones Yesterday. The Samsung Galaxy Notes these days has also been criticized because of the size of the display for us to be more sincere 'than good but of course everyone thinks the way he wants. The Samsung Galaxy Notes was launched at IFA in Berlin and will soon be available on our market, we look at with all hardware and software features of this smartphone. One of the new features introduced is of course the AMOLED screen Super HD 5.3 inch with resolution 1280 * 800, the processor which is equipped with a Dual Core 1.4 Ghz, the rear camera is 8 megapixels and the operating system is the 'Gingerbread Android. The price should be about 586 euros. 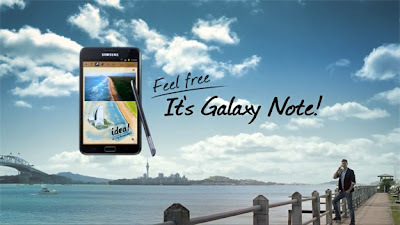 Let's enjoy together the video presentation of the new smartphone Samsung Galaxy Notes!